Industry executives and lobbyists hold positions on an interstate oil and gas commission that espouses the safety of hydraulic fracturing. December 13, 2010: This post has been corrected. Joseph Pettey is the owner of Pettey Oilfield Services Inc., and the 2003 West Virginia Oil and Gas Festival Man of the Year. Thomas E. Stewart is a third-generation driller who lobbies the government on behalf of energy companies. 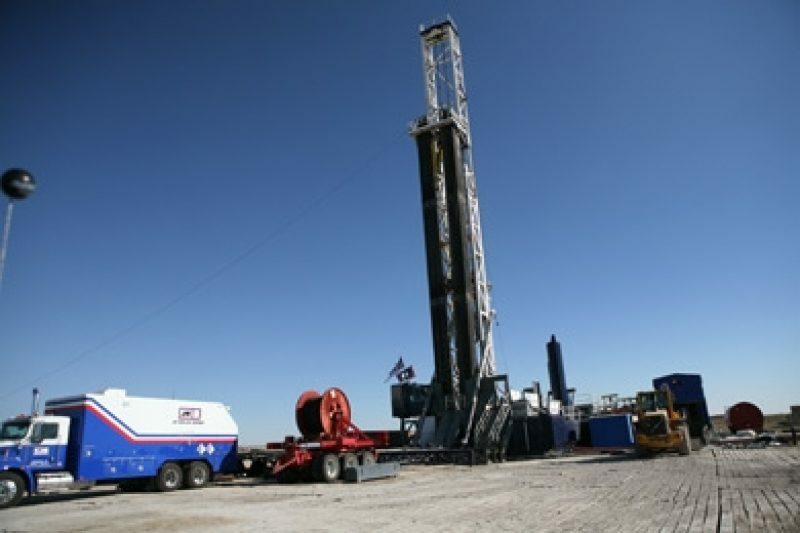 Both sit on the Interstate Oil and Gas Compact Commission, which is increasingly positioning itself as an authority on drilling-related issues like hydraulic fracturing. The 38-state commission was created in 1935 to promote the efficient harvesting of oil and gas. Its mission was later expanded to acknowledge the need to protect health, safety and the environment while accomplishing that goal. It is funded by government grants and fees from the states. The commission members are appointed by the member governors. Most are state regulators who oversee gas and oil drilling, but at least seven states have representatives who are either lobbyists or energy executives. Pettey is the official representative for West Virginia; Stewart is an associate representative for Ohio; lobbyist Robert W. Harms is an associate representative for North Dakota; James R. Daniels, the general manager of Murfin Drilling Company, is an associate representative for Kansas; William S. Daugherty, CEO of natural gas company NGAS, is Kentucky’s official representative and D. Michael Wallen, also of NGAS, is its associate representative; Rick Calhoon of Pruet Oil and Charlie Williams Jr. of oil and gas production company Vaughey & Vaughey are associate representatives for Mississippi; and Steven C. Agee of Agee Energy LLC is an associate representative for Oklahoma. Both official and associate representatives participate in committees, said commission executive director Mike Smith, although associate representatives vote on policy recommendations only if the official representative isn't available. The governors can also appoint as many committee members as they choose. The agency denied ProPublica's request for a list of committee members; a spokeswoman said the list has been confidential since 2008. Although the organization meets biannually, most of its activities -- conducting research, developing resolutions and communicating that information to public officials -- take place in small committee meetings throughout the year. The commission's recommendations have enjoyed substantial credibility in the debate over hydraulic fracturing, or fracking, the controversial natural-gas extraction technique that the commission has deemed to be safe. 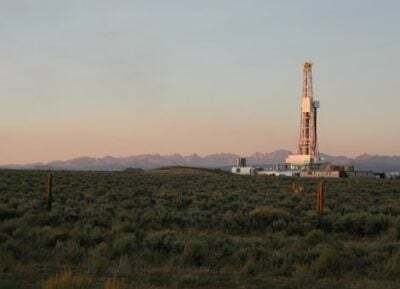 The IOGCC authored an oft-cited 2002 survey that determined that nearly 1 million wells had used fracking "with no documented harm to groundwater" in its member states. When asked by ProPublica if he felt his dual affiliations presented a conflict of interest, Stewart, the associate representative from Ohio, answered with a one-word e-mail: "No." A few minutes later he sent a second e-mail asking this reporter if she felt it was a conflict of interest to present herself as a journalist. Harms, the lobbyist who is the associate representative for North Dakota, said that while he believes that government agencies should avoid "even the appearance of impropriety," he doesn't think his participation in the IOGCC counts as such. "The organization is not an advocate for the industry," said Harms. "It primarily contains state regulators, and those are the people who run the show." Agee, the Agee Energy president who is an associate representative for Oklahoma and also an economics professor at Oklahoma State University, echoed Harms' statement. "I don't think it's a conflict," he wrote in an e-mail. "The governor chooses well-informed representatives that act in the best interest of the state." The other official and associate representatives contacted for this article did not respond to requests for comment. Exactly how the presence of gas and oil interests might affect the agency's resolutions is difficult to determine, because little information about the organization's inner workings is accessible to the public. When Smith was asked whether having industry representatives on the commission raised potential conflicts of interest, he referred that question to the member governors. A spokeswoman for Gov. Mark Parkinson of Kansas said in an e-mail that "it is beneficial to appoint members to boards or commissions with related experience in the industry or field to help bring perspective." She also noted that the decision to appoint a drilling company manager to fill one of the Kansas slots was not made by Gov. Parkinson. The six other governors with representatives known to be industry executives or lobbyists did not respond to requests for comment. Inform our investigations: Do you have information or expertise relevant to this story? Help us and journalists around the country by sharing your stories and experiences. Correction (December 13, 2010): This post originally stated that Joseph Pettey was the 2003 Virginia Oil and Gas Festival Man of the Year. He was the 2003 West Virginia Oil and Gas Festival Man of the Year. Marie C. Baca was an intern at ProPublica.